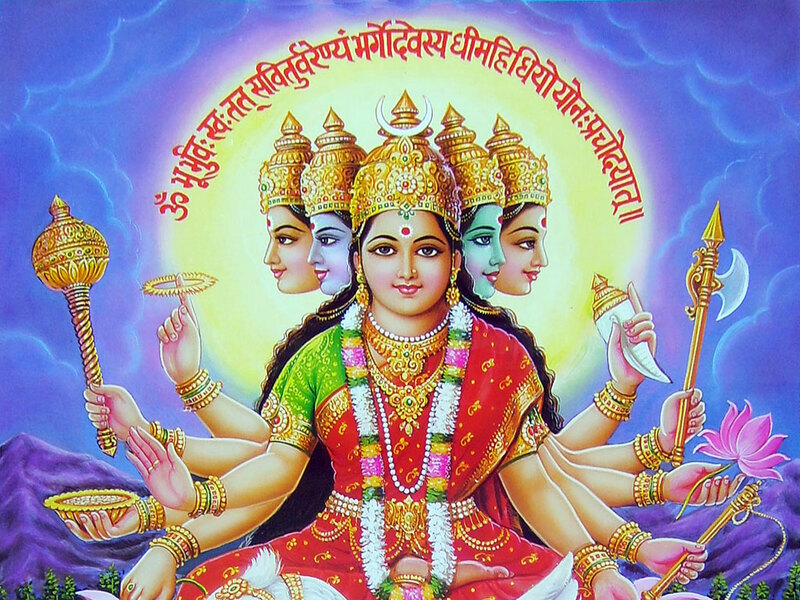 How Gayatri or The Universal consciousness Works ? As per Rigveda, Sun is related to heart which is the seat of ‘chit’ or ‘consciousness’, the vision of Rigvedic rishis is further elaborated in treatise of Brahmanas, Aranyakas, Upanishads. Patanjali in his Yog sutra clearly said ‘ह्रदये चित्त-संवित्’. while reciting Gayatri, ‘Savita’ the heavenly source of power to Sun or Surya, is invoked which is reflected in term ‘वरेण्यम्’ of Gayatri Mantra, It’s a process component of mantra, when वरेण्यम् is understood, Gayatri appears to be working. 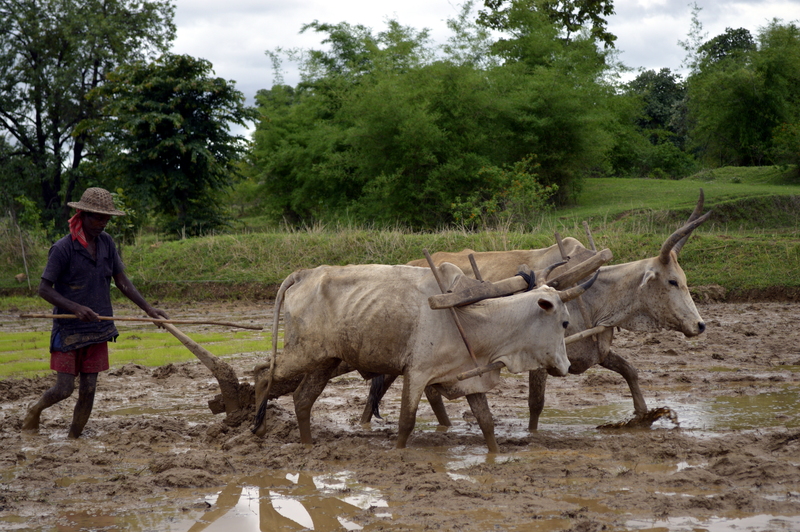 In Rigveda, it is also said that by recital of Gayatri, A Nation radiates and becomes stronger. Let’s do Gayatri recital and keep the world moving in direction as we think it to move. Some scholars are discussing what is universal consciousness without knowing Rigvedic account of Gayatri and Patanjali’s Yogasutra and leading nowhere, Hence this is the note ! Biological Diversity is a creative process as living organisms have no choice other than that of existing as Individuals with Individuality. Ever since Life arrived on planet Earth, living matter, living substance, or living material has remained the same while diverse forms of life lived and became extinct during different periods of geological time. When we speak about biological diversity, we have to constantly remind ourselves that there are certain values which never change under the influence of time. Things in Nature change if and only if the change is operated by an underlying unchanging principle. Language is the peculiar possession of anatomically modern humans. Prehistoric man could paint, draw, and carve images but did not use human language. Linguistic diversity has to be known by recognizing unchanging human anatomical and physiological mechanisms involved in generating sound, and perception of sound which includes analysis of sound information. Human Speech and Human Writing are two-faces of same language ability and in Clinical Medicine they constitute problems of Speech Disorders. Life is about using Knowledge to perform a myriad of living functions. In other words, Life is Knowledge in Action. All living functions without any exception need an external source of energy. Life on planet Earth is possible as living forms have capacity to use energy from an extraterrestrial source. Earth and living forms belong to Natural Realm, and the source of energy belongs to Supernatural or heavenly Realm. We see Sun in the sky, but it belongs to Supernatural or Heavenly Realm. Fortunately, there is a barrier between these two realms to make life possible. For Sun is the Source of Supernatural Power/Energy/Force, Sun is the source of Knowledge that living forms use to perform diverse living functions including use of Speech. Diversity that we experience on Earth is possible for Sun’s Energy is that unchanging Principle that operates all natural phenomena. It’s often said that विविधता में एकता or ‘unity in diversity of cultures’ is the strength of India but what is the instrument that forms this unity remains absent in same narratives, essays and lectures. This is Sanskrit, a language, a carrier of prolific thoughts produced in the era India was truly a power virtually influencing entire world’s business, philosophy and polity. prophet Mohammad once said ‘I get fragrance of heavens from India’ this is said by ill famed Asaduddin Owaisi but our political community missed to take advantage of it. Another concern is India’s bad national IQ which is 86, almost in scale of Africa and this reflects in our people’s loss of logic and power of judgment. Maker of Sanskrit grammar Indra assisted by Vayu, ordained by Brihaspati has also manufactured a word making factory termed as RIS ( Root, Infix, Suffix) that shall keep creating more stems and thereby new and new words. Sanskrit roots are monosyllabic neurologically designed unit of sounds which no other Indo European languages have spoken on planet earth in our times. Using this RIS factory, Sanskrit has already created 740 million words roughly estimated by Kamlesh Kapoor. All Indo European languages had borrowed Sanskrit stems and treated as their root, having no idea how the borrowed ‘stem’ is formed originally in Sanskrit, this is a phenomenal borrowing. The true linguistic scenario of the day is, even we speak a non Sanskrit language, still we speak Sanskrit. On particular question of Latin and it’s relation with Sanskrit, it’s good to quote Vans Kennedy, an Scottish judge-advocate-general who turned to become oriental translator to British government, in his work “Origin and Affinity of the Principal Languages of Asia and Europe” (1828) stated that “Sanscrit itself is the primitive language from which the Greek, Latin, and the mother of the Teutonic dialects were originally derived”. I cannot afford to not to mention Dr Ashok Bagchi who was among first generation neurologists of post-independence era and a distinguished linguist who earned his MS at university of Vienna in 1954 and after homecoming did a D. Litt in Sanskrit. Dr Bagchi on “history and origin of modern medical terminology”, makes 72 pages long list of medical terms and successfully shows how Sanskrit’s terms borrowed in Latin, pertaining to human anatomy, physiology and medicines gave rise to modern terminology of the medical science. He narrates an interesting story that motivated him to carry out this research on philology from perspectives of Sanskrit and medical science, He says during his stay in Italy, once he visited a thoratic clinic at Bologna, where he got stunned seeing the terms displayed on the board – “NASO, KANO, GALO”, a familiar trio, resembling bangla-hindi a dialect of India. Relevance of Sanskrit in present times becomes apparent when we try to account for man’s existence; how does the ‘Subject’ called “I” becomes the Object called “I Am” that can be verified by Science. The thing called “I” will not be known until and unless it is transformed into a living being that claims, “I Am.” Science is not able to fully account for the phenomenon called human existence. We all know that man exists in present day phenomenal world but we are not able to explain it as to how such existence is possible. The Sanskrit word or ‘SABDA’ called “ASMI” accounts for transformation of “I” into a recognizable entity called “I AM.” Asmi describes “UNITY” or ‘EIKYATA’, the coming together, yoking, or joining of “I” with an external, unchanging Reality, the fundamental basis for all Existence. Things in Nature change under the influence of Time, but every natural change is operated by an Unchanging Principle. There is no natural phenomenon of this world which may not require operation of an underlying principle. To answer problems of this age, man has to know himself and know the World in which he exists. Knowing “ASMI” is the beginning of that learning process. 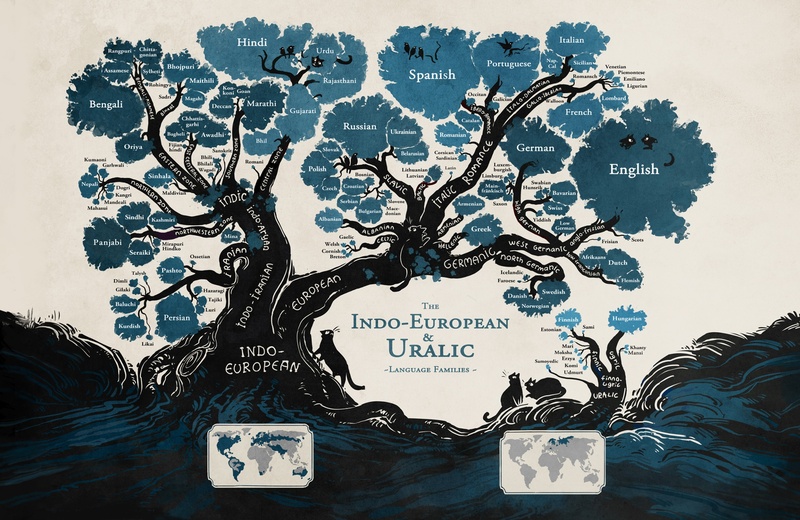 Produced below is a linguistic tree of so-called Indo European Languages. TAT ASMI PRABHU – FIFTH MAHAVAKYA – UNITY OF MAN AND GOD. MAN IS A CREATED, PHYSICAL BEING. SANSKRIT IS LANGUAGE CREATOR.